December 2018 Newsletter - fall recitals, Éigse CIM tickets, upcoming events, and more! Winter is in full swing, and there are plenty of chances to support our talented student musicians this December! Thank you to everyone who attended our Advanced Youth Ensemble concert at the Celtic Junction Arts Center this past Saturday - what a fabulous evening of music. 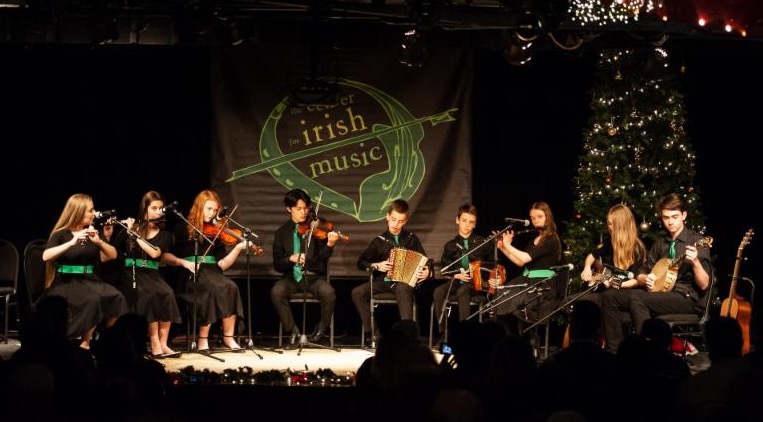 This month's Celtic Music Showcase at the Underground Music Cafe will feature our Swallowtail, Starling and Young Adult Ensembles, and our youth recitals and adult student open mic are great opportunities to see what our students have been working on this fall. See our upcoming event listing below for more opportunities to celebrate the season with Irish music, and visit the IMDA's online calendar for a comprehensive listing of Irish cultural events. 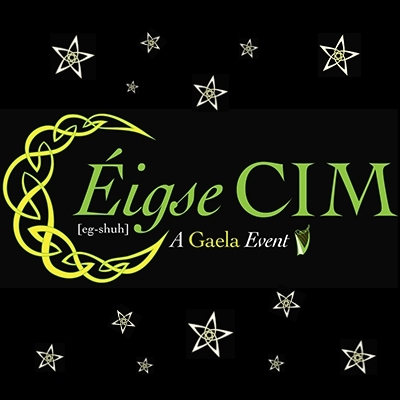 Tickets to Éigse CIM, a Gaela Event are now available online . We're thrilled to welcome back Corkman and entertainer extraordinaire Máirtín de Cógáin as our emcee. This event has sold out for the past few years, so if you'd like to sponsor a table or purchase multiple tickets, we recommend doing it soon! Finally, I have started publishing a tune of the month in the IMDA newsletter with dots, chords, abc file and sound file (the latter two are coming soon). These tunes will become the CIM's next Common Repertoire, and there are two tunes published already making up a lovely set of reels called the Drogheda Lasses and Jack Coughlan's Fancy. Check them out on our site and/or sign up for the IMDA newsletter. Happy tune learning! Wishing everyone a safe, warm, and happy winter season. *CIM students: The " students " webpage is updated on a weekly basis. We request that current students bookmark this page and check in regularly to find out about upcoming dates, deadlines, events and student-related announcements. Thank you! We hope you'll join us for our student recitals! Invite your friends and family and enjoy the tunes and songs our students have learned this term. 7pm - 9pm - Adult Student Open Mic with emcee Todd Menton. Adult students: there are still a few spots available, so click here to sign up if you want to perform! 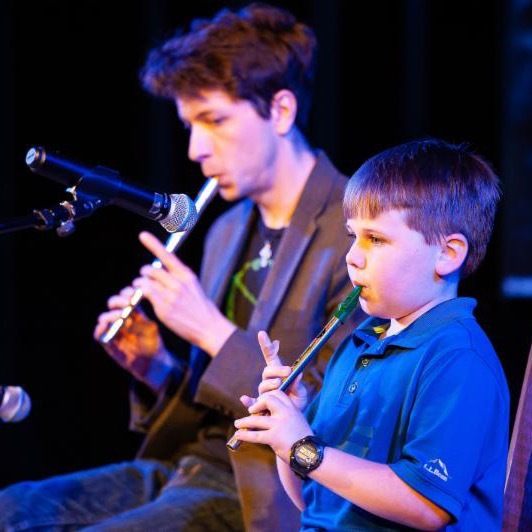 1:00pm - Youth Recital 1* - for students under 12 and Tin Whistle Troupe. 2:30pm - Youth Recital 2* - for students in Redwing, Swallowtail and Starling ensembles (including solo tunes) and students aged 12-13 (unless they are in the Starling ensemble). 4:00pm - Youth Recital 3* - for students in the Wren and Advanced Youth Ensemble students (although the AYE will not perform as a group), plus students aged 14 and older. There will be a potluck following the recitals and open mic, so please bring a treat to share . CIM will provide the beverages! We're looking for volunteers both Friday and Sunday for set up, clean up, and greeting. (Parents, please note that you will not miss your child's performance if you volunteer!) Click here to sign up for a shift online . Thank you for your help! *Parents, please connect with your child's instructor(s) directly to confirm which recital your child is performing in. Programs will be printed by noon on Friday, December 7th. If there are changes after that, please come to the recital 30 minutes early and notify Norah Rendell in person. Thank you! 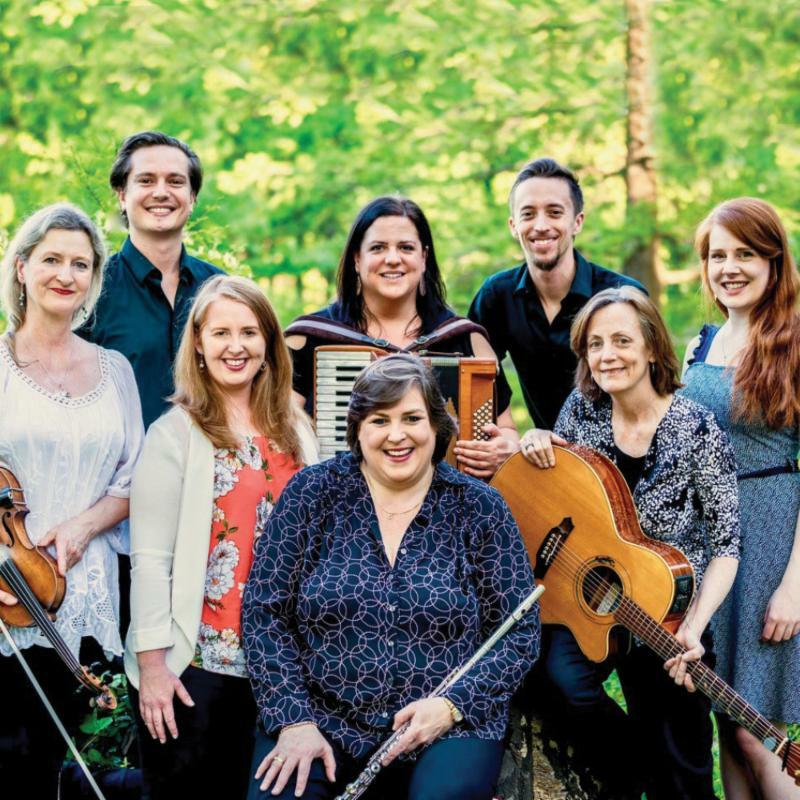 Join the Center for Irish Music on Saturday, February 23rd for Éigse CIM, a Gaela Event, our biggest fundraiser of the year. Don't miss this fabulous evening, including a traditional Irish dinner, a concert by celebrated CIM instructors, a silent auction, and more! Consider sponsoring a table of ten in support of the tradition. This event has sold out for the past few years, so be sure to get your tickets early if you'd like to guarantee a seat at dinner. 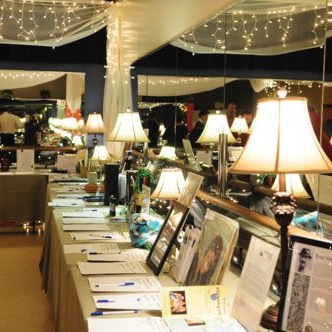 We are currently requesting donations for our Éigse CIM silent auction! Click here to for more information and to fill out our donation form. Contact Eileen Degnan , silent auction chair, with silent auction questions. If you know of a business that might be interested in supporting Éigse through a silent auction donation or event sponsorship, please contact Aja McCullough Beers , Events & Communications Coordinator. 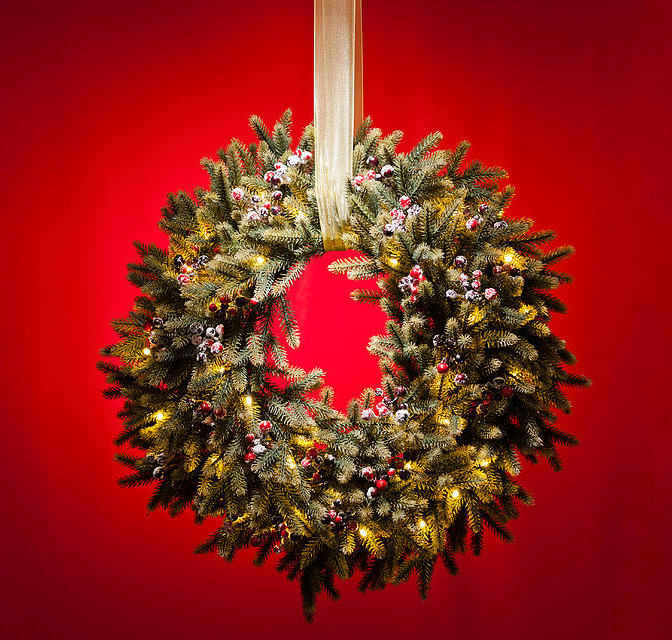 Support CIM while decorating your home for the holidays! Lynch Creek Farms offers a wide selection of wreaths, garlands, and centerpieces, and will ship directly to your home for free. Best of all, 20% of all purchases made through this link will go directly to the Center for Irish Music. Click here to visit the Lynch Creek Farms website and browse their inventory of holiday decor. 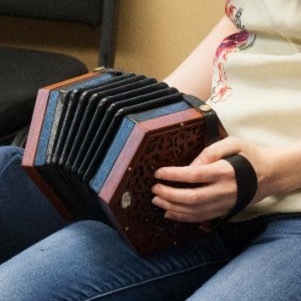 Curious about the concertina? Wonder how the English Concertina is different from the Anglo? Join CIM instructors Charlie Heymann and Mattie Ernst for a free, fun exploration of this delightful, expressive and portable instrument. Current and past concertina students and players are encouraged to attend, and all are welcome. ﻿﻿For further information, contact Gabriel Ross at mysticinthewoods@msn.com . Save the date for a special workshop with Cherish the Ladies, presented by the Center for Irish Music in partnership with the Ordway. at 836 Prior Avenue N.
See Cherish the Ladies in concert at the Ordway on Thursday, March 21st as part of their Music & Movement series. A limited number of $5 tickets are available to Center for Irish Music newsletter subscribers. Use discount code CAPLADIES **. ** Limit of 4 discounted tickets per person. Not valid on previously purchased tickets or in combination with other offers. Subject to availability. All tickets are subject to a facility fee and service charge per ticket. All sales are final with no refunds or price adjustments. Offer may be revoked or modified at any time without notice. Mark your calendars for this 3-day traditional Irish music festival, including workshops, lectures, sessions, and a concert with master artists from around the world. Watch centerforirishmusic.org for artist announcements and updates, coming soon! Yulefest, featuring Barra, the HiB's, Patsy O'Brien, and The Eddies. ﻿Featuring O'Shea Irish Dancers and music from Todd Menton, Norah Rendell, Dean McGraw, Cormac O'Shea, Dennis Curley & Kelsey Hannington. -Hosted by comedian Joshua Will and Natalie O'Shea. 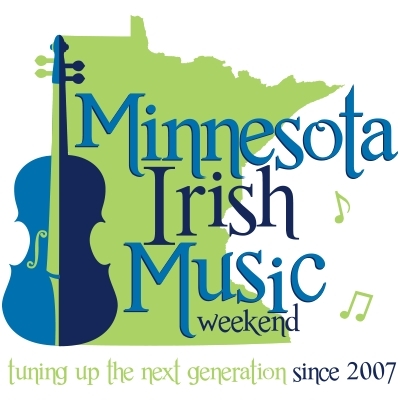 This is not an exhaustive listing of all events within the Twin Cities Irish community. For more listings, please visit the IMDA Event Calendar , and the Celtic Junction Arts Center concerts. 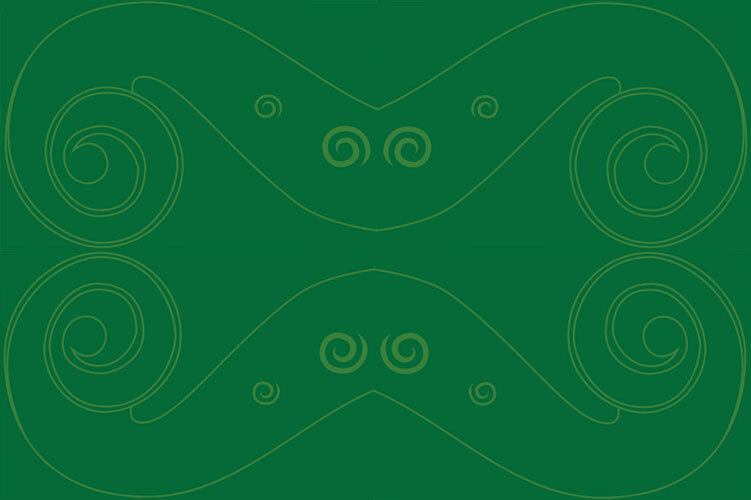 The Center for Irish Music is a 501c3 nonprofit, and we depend on your support to continue passing down the tradition of Irish music and song. Please consider joining us as a volunteer or making a gift to the CIM today!